FREE Drink Floatie With Purchase At Charlotte Russe! 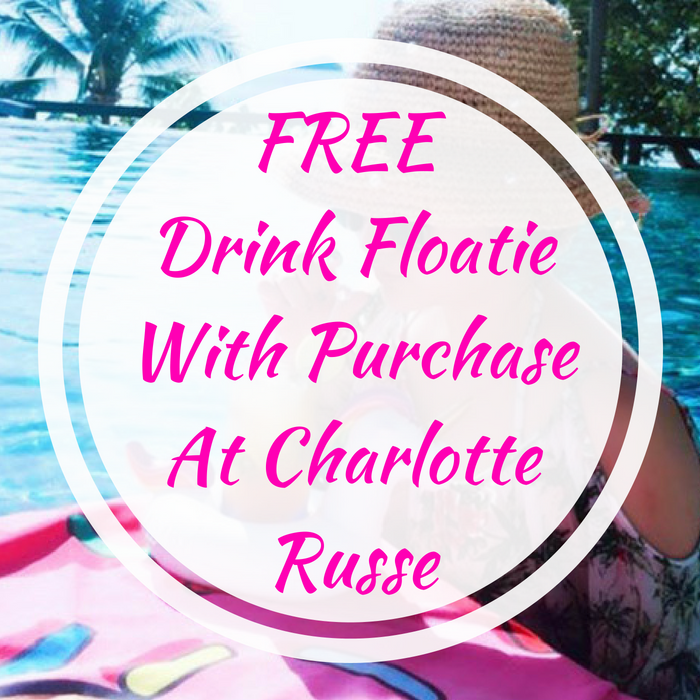 You are here: Home / FREEbies / FREE Drink Floatie With Purchase At Charlotte Russe! TODAY ONLY! Hurry over to Charlotte Russe where they are offering a FREE Drink Floatie with any purchase – no minimum required! This deal is available for in-store only. Don’t miss it!